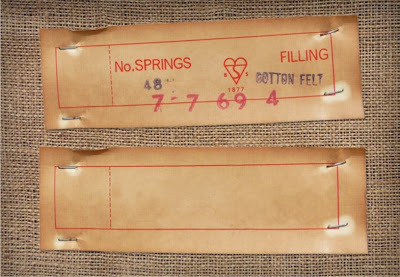 I ran across the site of designshard.com and was immediately drawn to this vintage tag. I love how he saw this old mattress tag, took a picture of it and then removed that background in his design program. How cool is that and he is sharing it with us here. The burlap behind the tag is just a background textured paper he put it on. Although I never use already made texture papers in my designs - not because I don't like them I just feel like I'm using others work and I want mine to represent me. I do appreciate them and would love to use them for non-Etsy work. There are some great ones I found here. Enjoy!